OMICRON Test Universe hardware and software, which have been developed to fulfil all test requirements, set new standards when it comes to verifying the protection relays, energy meters and measurement-reading converters used in electrical energy systems. 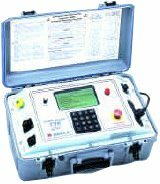 Our CM line test devices for secondary supply purposes have long been in operation on the premises of discerning public utilities, industrial organisations and railway companies, along with manufacturers of protection relays, energy meters and measurement-reading converters. 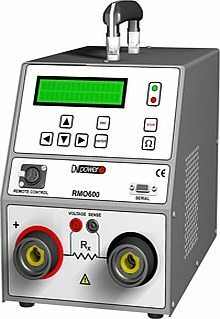 The new 5 kV insulation-testing device supplied by Megger has been specially designed to assist you in the inspection and maintenance of high-voltage electrical systems. The device housing is highly robust and designed for maximum portability.Made of high-strength polypropylene, it conforms to protection rating IP65 with respect to dust- and water-resistance.The model number is also clearly shown on the top and side of the housing, for clear identification on the premises or when carried in a vehicle. The T 99/1 high-voltage tester is a portable, high-performance device, designed to generate a DC voltage of up to 40 kV. 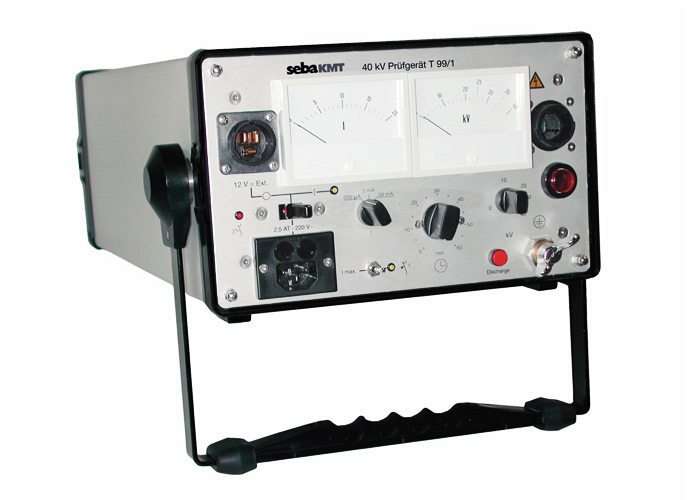 The safe encasing of all the device’s live high-voltage components, along with the automatic de-energising of the test item after switching off or shutdown of the operating voltage, guarantees maximum protection for the user.The short-circuit-protected configuration and comparatively-high output voltage of the T 99/1 40 kV test device also make it suitable for detecting cable faults.